Transport your DJI Mavic 2 Pro/Zoom drone and accessories in one grab-and-go storage solution with this Hard Case from Go Professional Cases. This water-, corrosion-, and impact-resistant hard-shell case is designed to store your equipment via an interior closed-cell foam insert with precision water jet cutouts. It is designed to fit a DJI Mavic 2 Pro or Zoom, a controller, a 5.5" CrystalSky monitor or smartphone, two spare drone batteries (plus one installed), two monitor batteries, a charger, charging hub, an SD card holder, and various cables, spare props, and accessories. The case also features a pressure equalization valve, stainless steel padlock holes, and a rubber-lined grip handle. The water jet precision-cut foam resists water and dust. 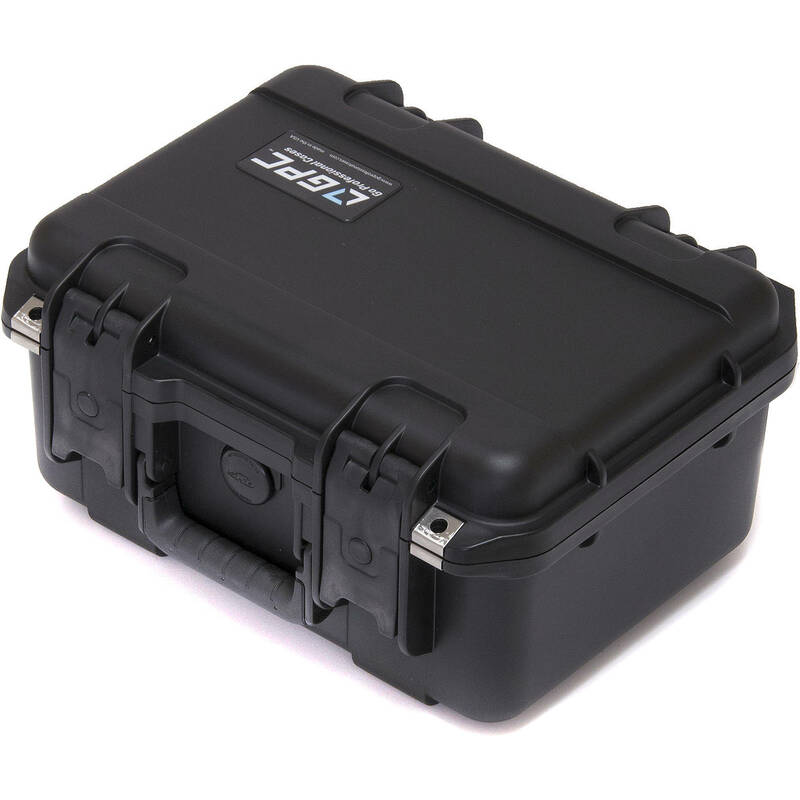 The SKB military spec case is MIL-C-4150J waterproof, provides a MIL-STD-648C-rated pressure equalization valve, is rated MIL-STD-810F corrosion resistant, and is MIL-STD-810F impact resistant. Box Dimensions (LxWxH) 15.7 x 12.6 x 7.7"
Hard Case for Mavic 2 Pro/Zoom and CrystalSky Monitor is rated 5.0 out of 5 by 1. Rated 5 out of 5 by Steve from A vault for your Mavic This case is so solid! Just the right size for the crystal sky even with its mounting bracket. Very fairly priced. Would buy again.